The 2017 BTCC title race is heating up, and the action on track at Rockingham was closer than ever. ESM’s BTCC correspondent gives his views on what we uncovered. 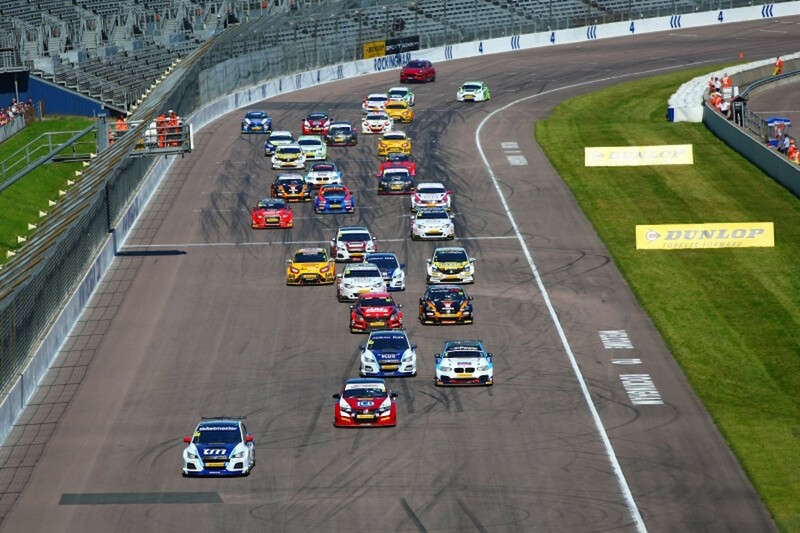 Rockingham is like no other track on the BTCC calendar and the sight of 32 cars heading towards the Dean Hairpin on the opening laps of the races was quite some spectacle. We, the viewers, were treated to yet another feast of close and highly competitive action over the weekend, but what else did we learn? Most significantly, perhaps, there has been another important change in the championship standings. 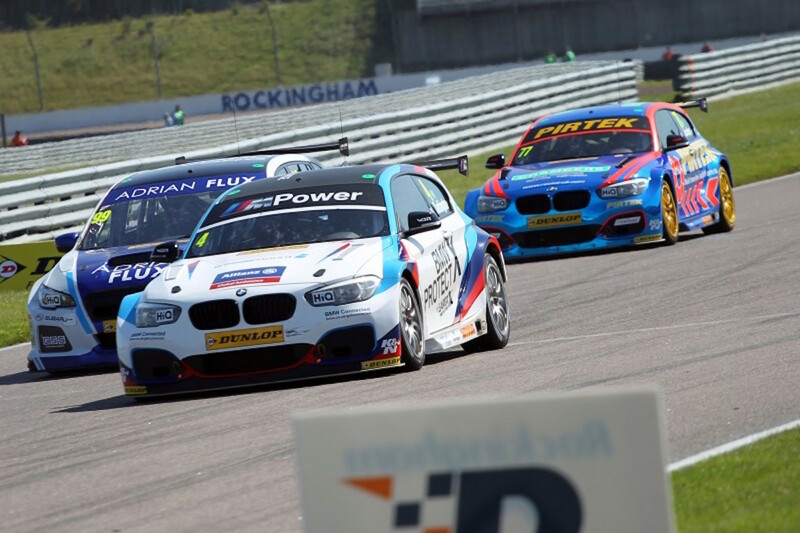 After Knockhill, Colin Turkington was at the summit for the first time this season, but we learnt at Rockingham that this lead was to be short-lived. The man in form, Ash Sutton, produced yet another set of stunning drives to secure top spot ahead of Turkington. The question now is: Will he be caught? As previously mentioned in race reviews, Sutton has produced a series of brilliant drives recently, scoring high quantities of points, regardless of ballast penalties or even tyre selection. At present, it would take a silly person to bet against him winning his first championship. Similarly, it would take a serious show of faith to now put your money on Gordon Shedden or Rob Collard after what for them, was a disastrous weekend, leaving the championship as now seemingly a two-horse race. The pair scored just four and eight points respectively. With their championship hopes in the balance as it was, this was a weekend neither could afford to go wrong. A poor qualifying session for both on Saturday set the tone for an unhappy Sunday. 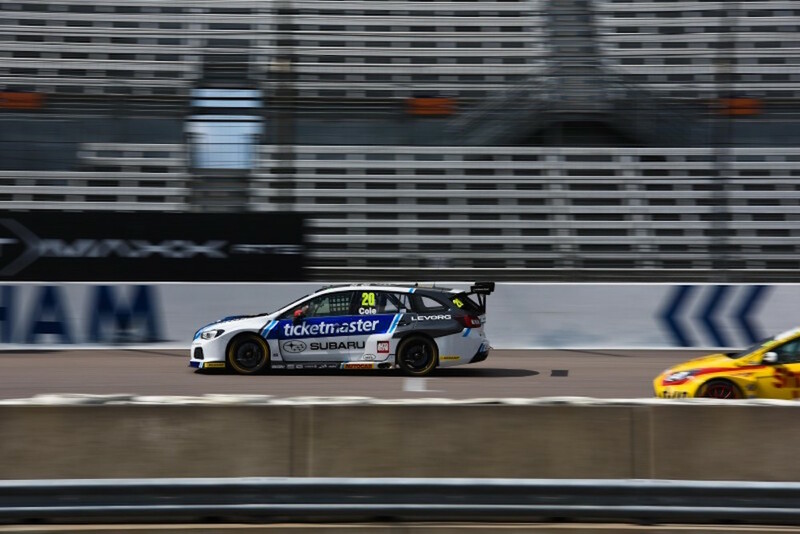 However, joy was found in abundance in James Cole’s Subaru garage following his maiden BTCC pole position on Saturday, which he duly converted into his first BTCC victory, lights to flag no less, on Sunday lunchtime. This was a sight I never expected to see, even from his Motorbase days, as until three races ago, he’d never finished fifth or above and never even looked like doing so. Some way to mark your first appearance on the podium! The opening race produced some excellent duels throughout the pack, but once again some dubious standards of racing were applied, most notably by Stephen Jelley, who managed to damage both Matt Simpson and Will Burns in consecutive laps. However, perhaps the most important issue was the puncture suffered by Shedden on lap 11 of 16 as he could only recover to 30th. It may have been caused when he battled with Collard for 18th a couple of laps earlier, or from debris on the track from other collisions, but this was a seriously unwelcome problem for the Scot and his championship challenge. Sutton, however, moved a few places through the pack, taking second on the final lap from, the impressive all weekend, Jack Goff. 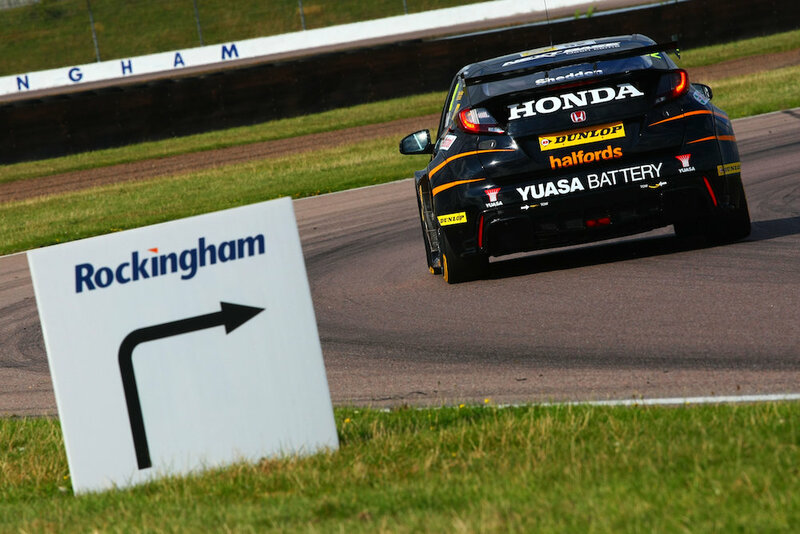 Turkington could not match Sutton as he finished sixth, losing a spot from the start, after he couldn’t find a way passed the Honda team game playing, Matt Neal. A notable mention must go to Josh Cook, who matched a season’s best fourth, ending a quite miserable run for the MG team. The misery was to return in the second race of the day though, as not only did Cook retire from a good position, his contact with Mat Jackson didn’t go unnoticed by the stewards and a third penalty of the season was applied. To compound this further, more contact in the final race with Jelley, meant that a fourth penalty was given, resulting in a race ban to be taken at Silverstone next time out, subject to appeal. It’s been some time since a race ban has been applied, but perhaps this tough stewarding may enhance driving standards throughout the pack. There was nothing wrong with Sutton’s driving, however. A great start to the second race, possibly planned with teammate Cole, allowed Sutton to gain the lead at the Dean Hairpin and by the end of the lap he held an incredible 2.2 second gap, as Cole proved to be a cork in the bottle – but just for a lap. Cole, who’d already lost out to Cook, ran wide and lost a sea of places. In what seemed a season defining weekend, lap 3 was probably the defining moment of current champion, Shedden’s, season. A standard Honda late attempt to pass under braking, on a slightly wide Rob Austin, at the Dean Hairpin ended in disaster. A more than likely unsighted Austin closed the door and the resultant contact, although not that heavy, left Shedden with a wheel pointing the wrong way. Out. Out of the race. Out of the championship? It would seem so. The safety car was also out to recover Shedden’s car, but the racing soon resumed. After Cook’s poor effort on Jackson, Neal showed that the Dean Hairpin was not the place to be for the Hondas, as he massively overshot the entry and ended up in the gravel, taking Cook with him, who’d somehow managed to keep second. A lap later, the third Team Dynamics Honda suffered also, you guessed it, at the Dean Hairpin, as Simpson and Rory Butcher collided on exit. All of this, of course, helped Sutton no end, who showed no ill effects of running the un-favoured hard tyre. Although, Turkington tried his hardest in the final laps to take second from Jackson, he was unsuccessful as Sutton increased his margin over him. Andrew Jordan, who has enjoyed a mixed season, was drawn on pole for the final race of the day and made no mistake by taking victory, despite an excellent challenge from the somewhat forgotten, Adam Morgan. Once again, it was a keenly contested race, but if the previous race was Shedden’s championship undoing, this was Collard’s. As Collard challenged Goff near the front of the pack, the pair leant on each other and Collard was never going to survive, as a rear wheel drive car, after losing the back end. The barriers and gravel ensued, as did the safety car. This season, Collard has shown a more measured approach to his racing, happy to sit in position and accumulate points where and when he can, but this latest move was more Collard of old. It went wrong, like Collard of old. Collard perhaps thought the move was a necessity, after seeing Sutton and Turkington pull further ahead of him in the opening two races. Unfortunately, it just didn’t work out. Collard’s despair, was delight for Sutton and Turkington as they made further positions as a result, with Sutton finishing fifth with Turkington sixth. Morgan just held off a challenge from Jason Plato after the safety car period to take second with Goff coming home fourth. At the end of the weekend, the new championship leader, Sutton, holds a twelve point gap over Turkington. With six races to go, it certainly isn’t a championship securing lead, but Turkington can ill afford anything to go wrong at Silverstone if he wants to claim a third drivers’ crown. To start with, he’ll need to continue his record of qualifying in the top five at each circuit this season and hope that, for once, the extra ballast may hamper Sutton. This would therefore go against what we have seen so far, as Sutton has been supreme in any challenge he has faced. Turkington may need to be a little bit more aggressive, which would go against his natural driving style, if he wants to win the championship, yet balance that with scoring high numbers of points. It would seem that now, the championship is Sutton’s to lose. Will he?